Last week had us visit once again the wonderful Punch Bowl Tavern in Mayfair for another cracking Comet quiz. Teams from The Daily Telegraph, News of The World, The Press Association and the Evening Standard, as well as presenters Caroline Feraday and Natalie Pinkham all swotted up to pitch their brains in a bid to win the 40” plasma Samsung TV provided by Comet. 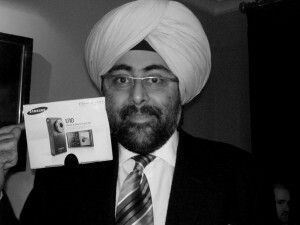 Funny man Hardeep Kohli Singh quizzed the teams between mini shepherd’s pies and bite-sized chocolate brownies. 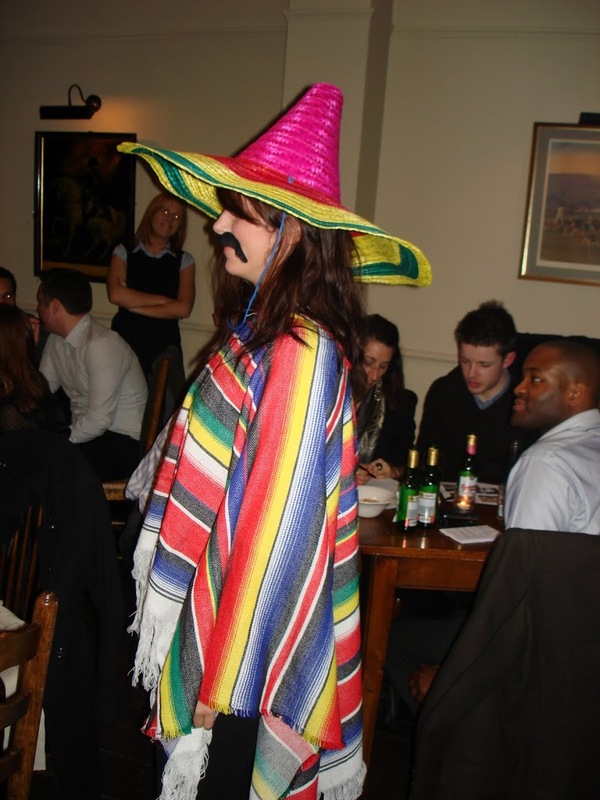 Visual entertainment was provided courtesy of two Golden Goose PR members who donned some very fancy attire so each team could ‘guess the national dress’. We will leave you to decide which goose was hidden behind the moustache! 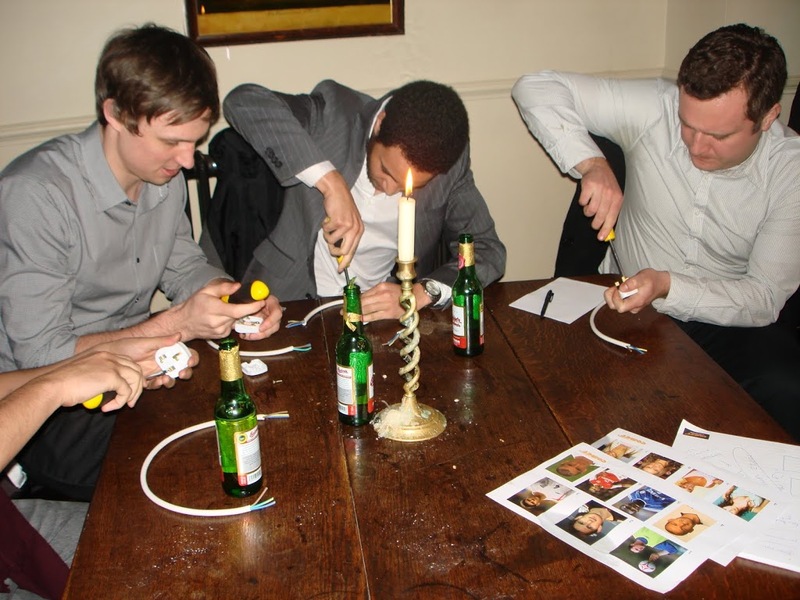 Team Telegraph claimed the Comet Cup leaving one luck-struck journalist to manoeuvre his new flatscreen down the stairs past a bemused crowd at the bar!